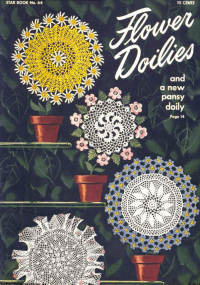 You may also like these Vintage Doily Publications. They are no longer under copyright and available for free online! 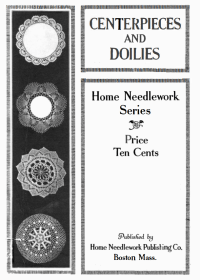 Boston, Home Needlework Publishing Co., 1916, 20 pgs. 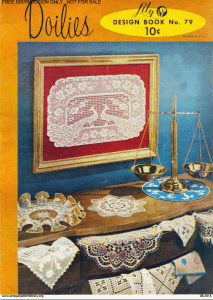 Leisure Arts also has some fantastic publications available. Here are a few examples. 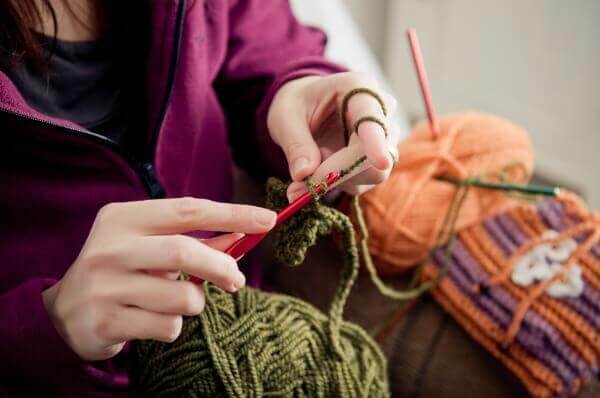 Me encanta el tejido a crochet y me gustaria que nos muestren como seguir paso a paso los trabajos y asi poder aprender gracias. I love to make pretty things and these round ups you do make it so easy, thank you! Thank you Richelle 🙂 #13 is lovely! 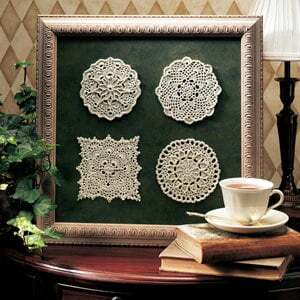 Love these doilies… Especially #13! 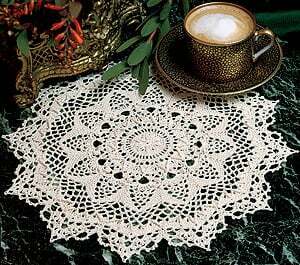 I love all traditional patterns of doilies, but many of them look like our granny’s style which I love even more. Thank you! 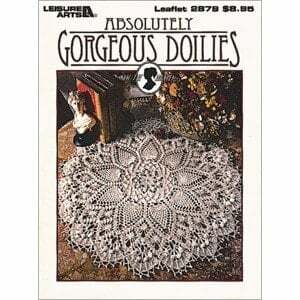 I LOVE this group of doilies! 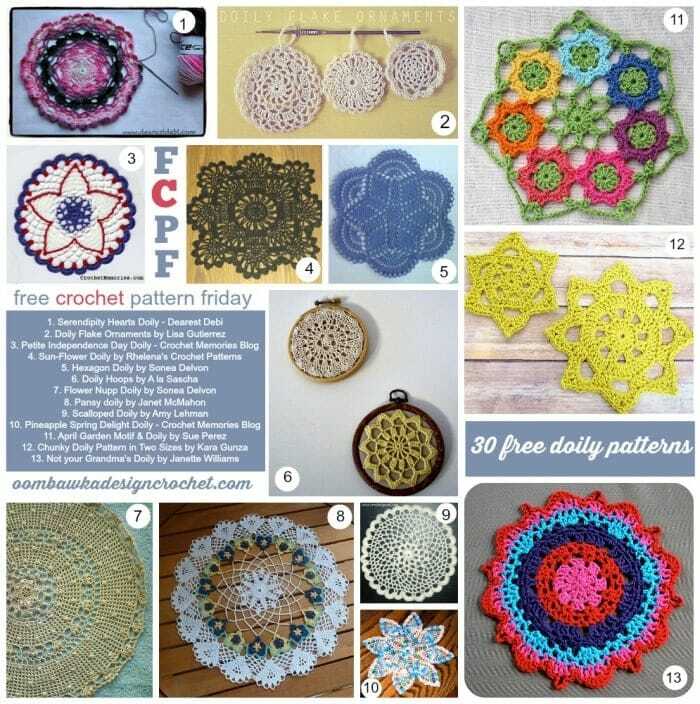 I love to crochet doilies and use them in unique and wonderful ways! Thanks for sharing. LOL! WHAT a gold mine. Autocorrect FAIL! Thank you for providing the links to the old patterns! Mahatma a gold mine! Thank you Rebecca 🙂 What a wonderful idea too! I love this roundup. These make great dream catchers. I have already made a couple of these and can’t wait to make some more. Thanks, Rhondda! WOW! You answer so fast! are there two or more of you – to get everything done that you do? I played with it a abit this morning….I think by doing single crochet around corner and gradually working up size of stitches I can do it…have to work on it more and count stitches….but what I was getting was pretty darned close to a circle…Hmmm! maybe I’ve come up with something new here! When I get it worked out correctly (with stitch counts, etc. ), I’ll let you know. Thanks again for all you do and for all your work! Another great round-up Rhondda! Thank you again for your hard work! you are awesome! Here’s a question for you….I have a small (3 round) square that I’d like to incorporate into the crown of a sunhat….thanks to you and others, I’ve mastered the circle to square…now I have to figure out the square to circle! (and it’s cotton which doesn’t always unravel easily….don’t want to lose what I’ve already done….